Muckle LLP is a thriving commercial law firm based in Newcastle upon Tyne with a leading reputation both regionally and nationally. 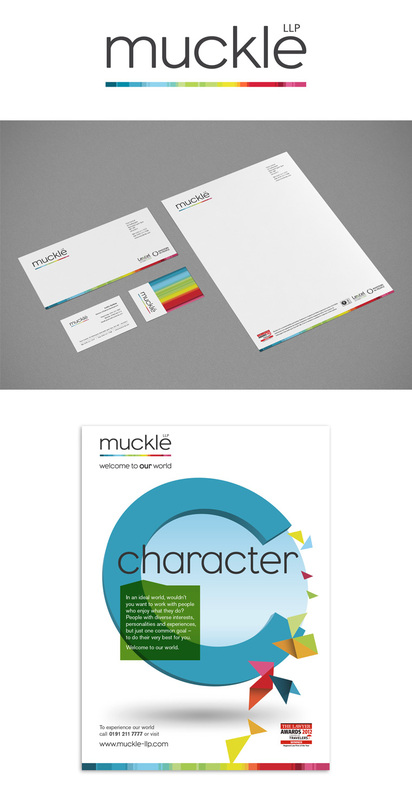 Having increased their profile over the past five years, Muckle felt the time was right to refresh their brand. Sheridan Design has been working with Muckle for two years now and was asked to pitch branding concepts against a number of leading agencies. Our winning solution used simple typography combined with, what we felt to be the strongest asset of their original identity, a vibrant colour spectrum. This presented Muckle with a modern and welcoming brand in stark contrast to the heavyweight and imperious logos which are all too stereotypical in the legal trade today. Muckle asked us to present them as a business just like any other, but who offer legal services to other businesses. Our identity design was chosen to demonstrate, through many mediums, the positive and enjoyable aspects of working with Muckle LLP.